Eat good if you want to have a good flawless skin. There are many natural products whose consumption would resolve many issues related to skin. Green tea is one of the best natural products to resolve skin related issues. It has even been proved as a blood purifier. Consumption of Green tea would result in acne free skin. As the green tea has lots of antioxidants, it decreases the inflammation of skin and protects cell membranes. 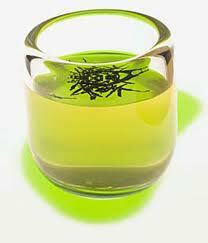 Consumption of Green tea also helps in to reduce the skin damage caused by the ultra violet or UV rays of the sun. Drink at least 2 to 3 cups a day for better results. This is for those who eat eggs. Eggs have been proved to repair damaged skin cells. Cells which have been damaged due to the radical changes are also cured by the eggs. As the eggs are a very rich source of vitamin it even provides nourishment to the skin. Eggs contain biotin which fights against drying skin. People used to avoid eggs due to a myth that eating eggs would result in increased percentage of cholesterol. But as per the researches eggs does not contains cholesterol. Berries fight against the damage caused by the UV rays of the sun. It even cures the UV damaged cells. Consumption of Berries even result in smooth and soft skin. Brown rice are a better source to fiber than white rice. Brown rice contains ceramides which increases the moisture of the skin. Consumption of Brown rice are the best way to cure infirm and blemish skin. 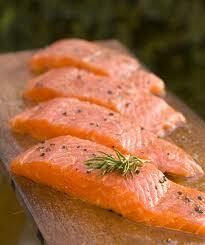 food have fatty acids which are very necessary for a healthy skin. Salmon has all the essentials like omega 3 and fish oil. So consumption of salmon has great effects upon skin. It would make your skin look much better.